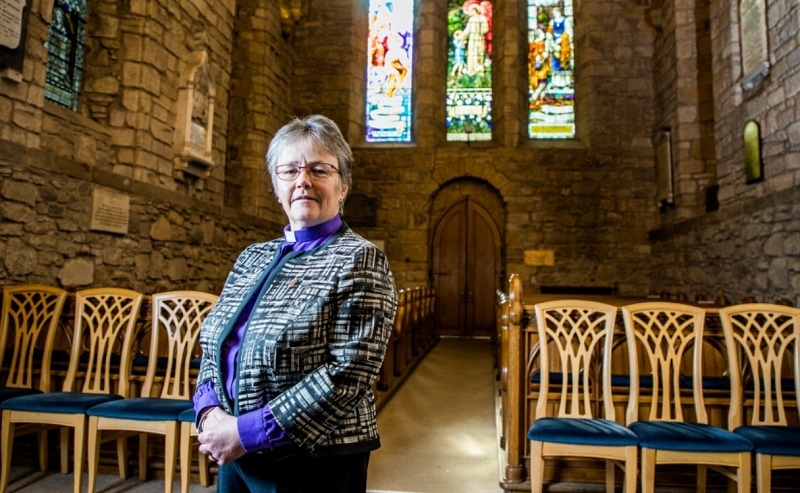 Church of Scotland joins 30 other European Churches in common appeal. The Moderator of the Church of Scotland General Assembly has joined more than 30 other Church leaders from across Europe to issue a joint Christmas statement on refugees. Rt Rev Susan Brown (pictured above) has joined leaders of the Methodist Church, United Reformed Church and Cherabim and Serpahim Church in the UK, as well as Churches Together in Britain and Ireland and representatives of Churches from across Europe. They have signed a Christmas statement highlighting the plight of refugees and urging all nations and people to celebrate Christ’s birth by working for a more welcoming and inclusive Europe. Created by the Churches’ Commission for Migrants in Europe in cooperation with the Conference of European Churches, the statement recognises the suffering of more than 70 million people across the world who have been forced to flee their homes in search of sanctuary and livelihood. More than half of them are children. 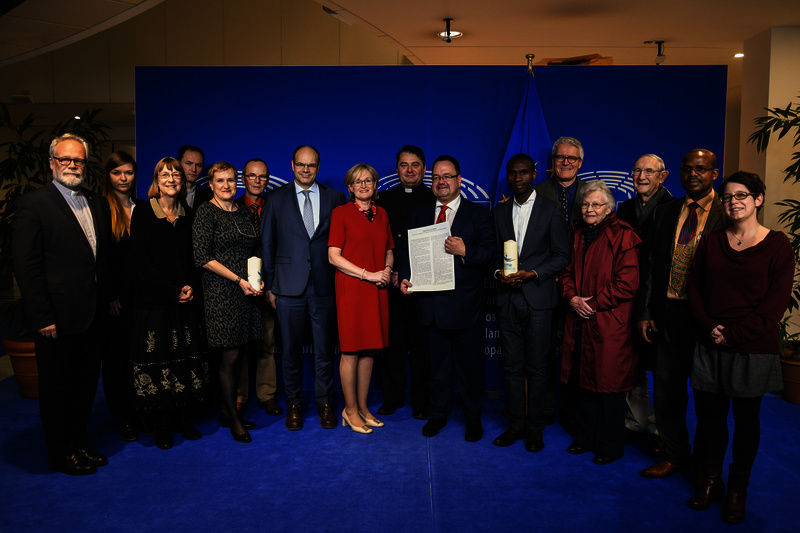 A copy of the Christmas Statement is presented by Church representatives to presented to Mairead McGuinness, First Vice-President of the European Parliament in Brussels. Let us rather cherish the dignity of those who need our help and recognise that welcoming the stranger is part of our Christian and European heritage. May we be courageous and confident in the Son of God, the Light of the World, whose birth we celebrate. Christmas is the celebration of Jesus incarnate. For Christians the Incarnation is an expression of God’s unlimited love for humanity, the babe born in a manger was to be good news of joy for all people (Luke 2.10). Just as every person is created in the image of God (Genesis 1.27), so Jesus becoming human affirms the dignity of all people. No individual or group of people are ‘problems’ to be dealt with but they are deserving of dignity as people loved by God. We all share a common humanity devoid of distinction between strangers and inhabitants. He took refuge in Egypt as a child when Mary and Joseph fled Herod’s threat to kill him. Jesus also experienced life under Roman occupation so knew measures that deprived people of their freedom and trampled upon their dignity. Jesus is born homeless and experiences tyranny and suffering. He identifies with the refugee and the oppressed and calls on us to similarly identify compassionately with the vulnerable. Jesus tells us that our response to the stranger is a response to Jesus himself (Matthew 25.40). When recognising Christ in the stranger’s guise we begin to encounter the divine in the other. Not only do we then move from a situation of ‘us’ and ‘them’ to a new relationship of ‘we’, there is blessing in the encounter and we become human together.